It’s the Philadelphian name for a big Italian sandwich. In the late '20s a jazz musician named Al De Palma saw some fellow hepcats eating a sub, and commented to himself "You’d have to be a hog" to eat a sandwich that big. So when he opened a sub shop during the depression, he started calling his big sandwiches "hoggies," he eventually opened chains across the city. 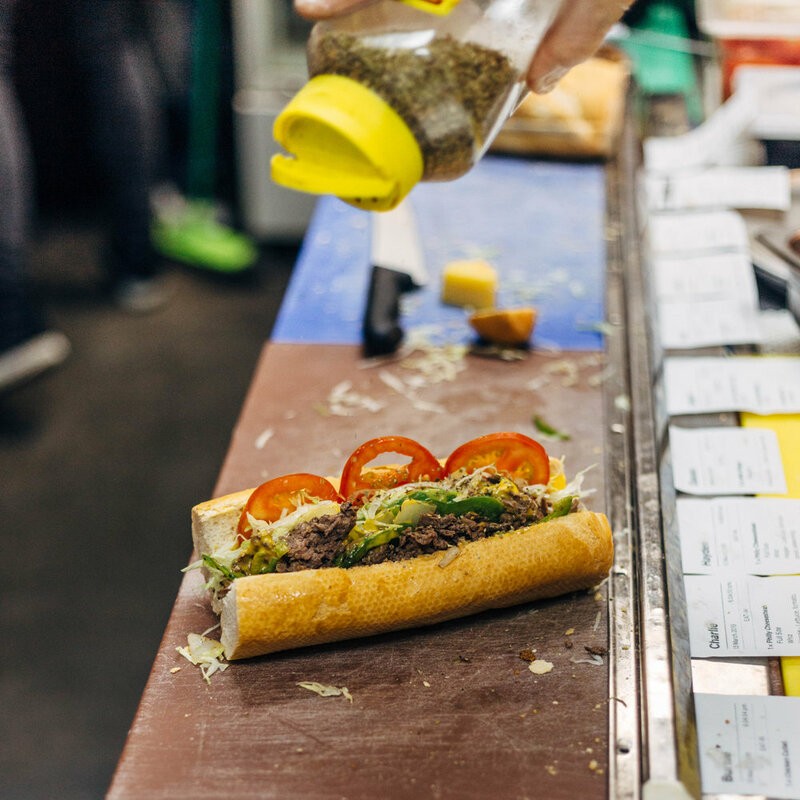 As for why "hoggie" turned to "hoagie," the best explanation is probably the Philadelphia accent itself. Ever heard those guys talk? Hand rolled 100% beef meatballs, cooked in a rich 4hr tomato sauce, melted mozzarella & grated pecorino cheese & fresh basil. 4hr slow roast pork, house made gravy, sharp provolone, sautéed greens. Crispy fried chicken cutlet, arugula, sweet peppers, prosciutto, provolone cheese & tangy mayo. Italian style lentil meatballs, rich marinara sauce, vegan mozzarella, cashew parmesan, fresh basil. Thinly sliced ribeye steak, seasoned and grilled with green peppers & onions. With your choice of cheese - whizz, provolone, or American cheddar. Southern style fried veg, shredded lettuce, sliced tomatoes, vegan remoulade. Subject to availability. Crispy chicken cutlet, marinara sauce, mozzarella, prosciutto, fresh basil. 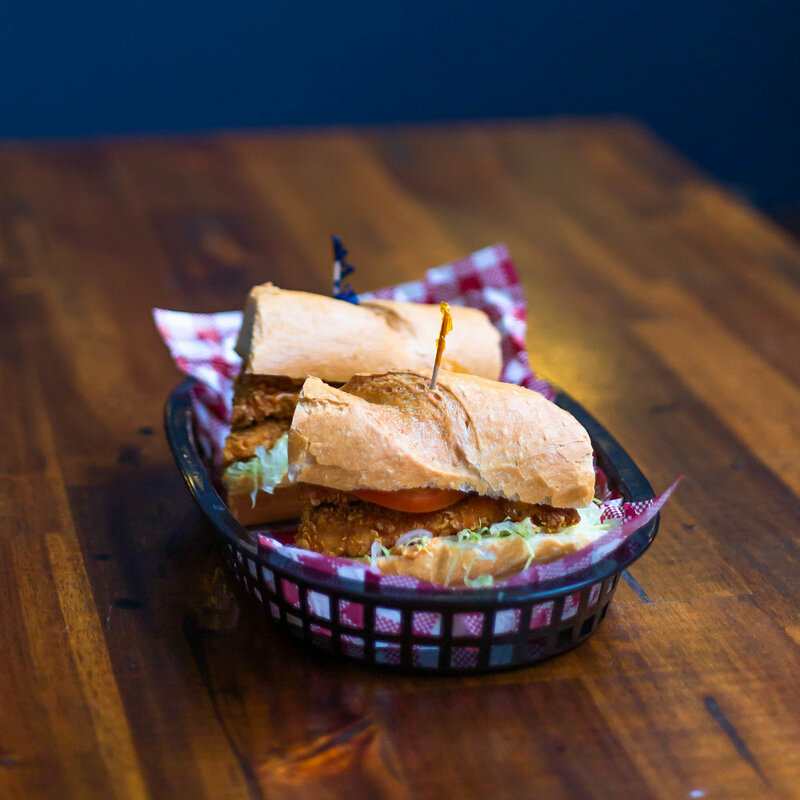 Crispy chicken cutlet, shredded lettuce, tomato, your choice of sauce. Served with our famous hotline seasoning. Serving of your favourite meatballs.